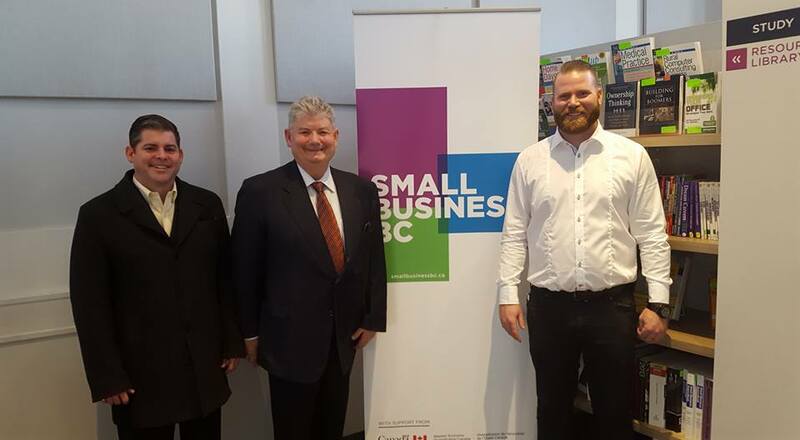 You may not have heard of Winecrush, last year’s winner of the Small Business BC Award for ‘Best Concept’, but chances are you soon will. The definition of a successful small business, the Penticton-based “wine food” company collects the material left over from pressing grapes from local wineries and mills it into a fine powder. This product is then infused into food as diverse as sausages, ‘Winecrisps’, cheese, and mustard, making tasty wine-tinged treats while cutting down on waste. It’s a concept that’s completely unique worldwide, and in the vineyard-rich Okanagan it’s got a healthy eco-system in which to flourish. It’s even attracted the eye of some of Canada’s biggest retailers. Grocery giants such as Save On Foods and Urban Fare are already stocking their shelves with the innovative foods. At this point, you’re probably wondering where the idea came from. According to Co-Founder, Tyson Still, it fermented in fellow Co-Founder Bill Broddy’s head while cycling through the bucolic backroads of the Okanagan. “Bill was getting into the fine art of making sourdough bread, and while bicycling along the quiet backroads in Summerland he came across wild grapes growing on the side of the road,” Tyson said. What started as a fun, family business soon started seeing massive interest from grocery chain stores in Canada and further afield. Despite this, the duo’s original mission statement remains intact. “We’re on a mission to create gourmet foods from juiced grapes (pomace) and fermentation sediment (lees), which retain most of the flavour and nutrients from the grape. Prior to this, wineries would have to compost or dispose of them, adding cost to the winemaking process,” he said. “Our customers love the taste of their favourite wines in our Okanagan-sourced products that include sausages, cheese, mustard, ‘WineCrisps’, slow-fermented sourdough bread and even coffee. Wine tourism is one of the fastest growing segments of the BC tourist market and the Okanagan’s economy. Winecrush have skillfully placed themselves at the heart of this growing market, and it’s a spot earned through continuing hard work. “We’re building the trademarked Winecrush brand through aggressive social media, and events like farmers’ markets, food exhibitions and restaurant campaigns,” Tyson said. With their innovative products, explosive growth, and dedication to hard work, Tyson thinks you’ll be seeing and hearing more from Winecrush soon. “We think the future is bright for Wine Crush,” he said. “We’ve been using social media, direct marketing, co-branding, and event promotion to increase sales this year. In 2018, we will expand our “Picnic Program” to 60 wineries, tourist destinations, and hospitality companies. We will expand Winecrush products throughout Western Canada and target large retail stores like Urban Fare, Save-on-Foods and more. At the 2017 Small Business BC Awards, Winecrush took home the ‘Best Concept’ award. Nominations are now open for 2018, so if you are a small business owner, or you know a small business that deserves more recognition, nominate today! “Winecrush is the poster child for this awards program,” said Tyson. “We personify SBBC success as a small company with a big/unique concept that can quickly outgrow small business status. The award we won last year didn’t just help Winecrush get exposure to local wineries and retail stores, it brought an energy to the food industry in Penticton, taking it to the next level. If we can all continue to grow together, we will all benefit for years to come. Having the SBBC ‘Best Concept’ banner on all our marketing was huge for Winecrush. It really gets the conversation going deeper with client and customers and people took us much more seriously after winning, especially as our concept had never been done before. The success we’ve had as a result is clear, we’ve made it into 45 locations this year, up from five in our first year, and we plan to be in 25 more retail stores by the end of the year.